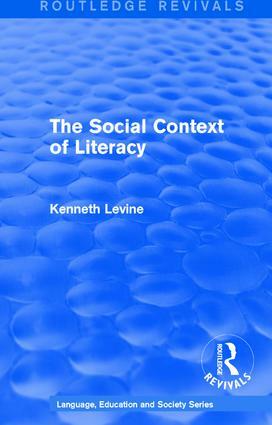 First published in 1986, this book looks at the impact of mass literacy on everyday life, discussing the fundamental differences between traditional oral cultures and contemporary industrialised societies where most people rely on complex combinations of oral and literate communication. There is also a detailed examination of the problems of the sub-literate minority with recommendations for future programmes of assistance. This book also provides a historical survey of the spread of literacy in British society from the Roman occupation onwards. In conclusion, the author discusses the impact of information technologies on people with limited basic skills.